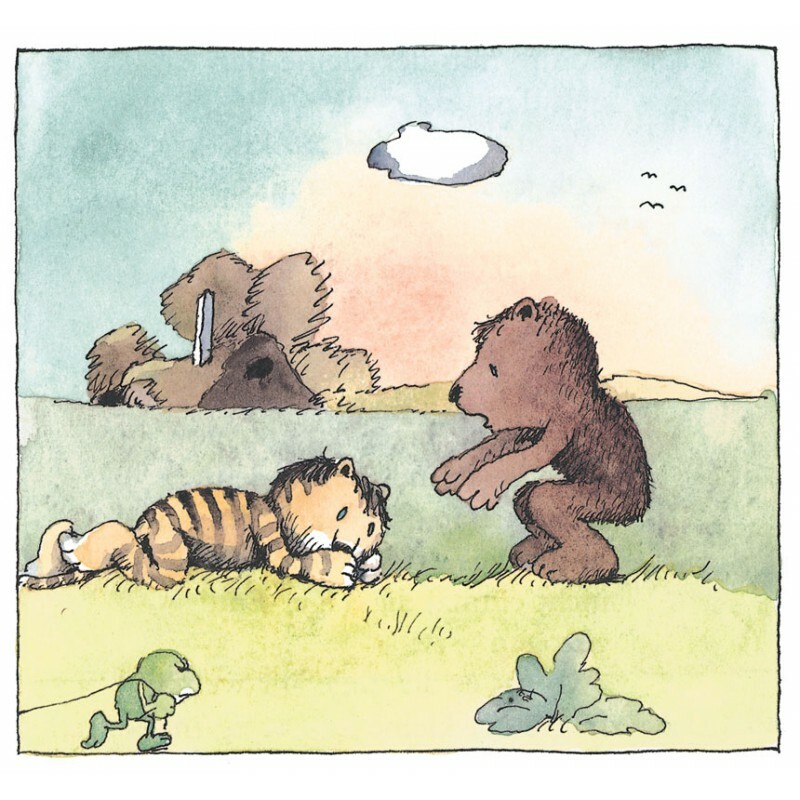 Little Tiger is very ill: he aches all over and can hardly stand. 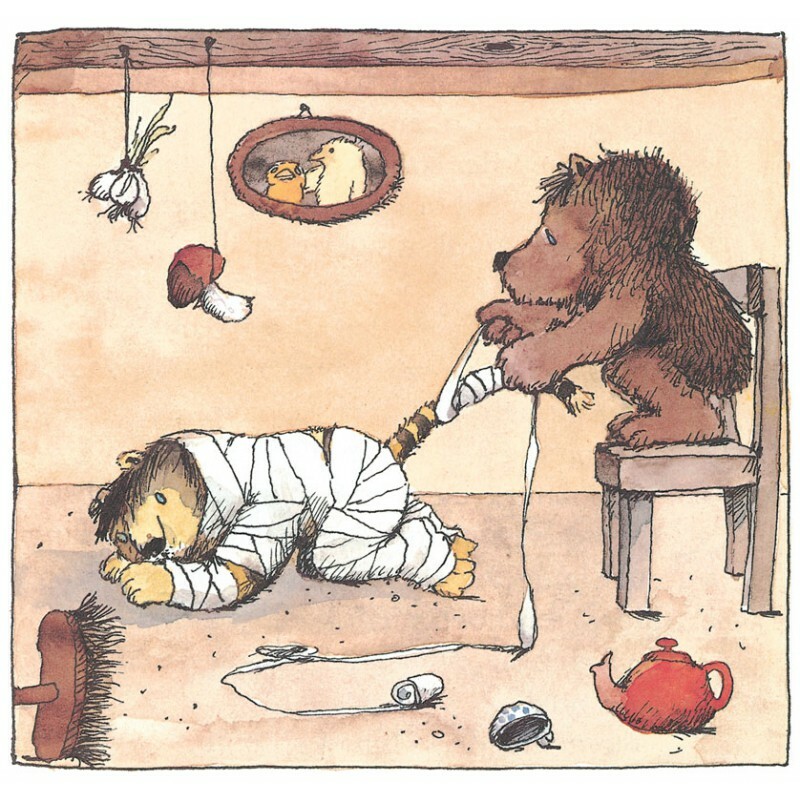 Luckily, Little Bear is there to take care of him! 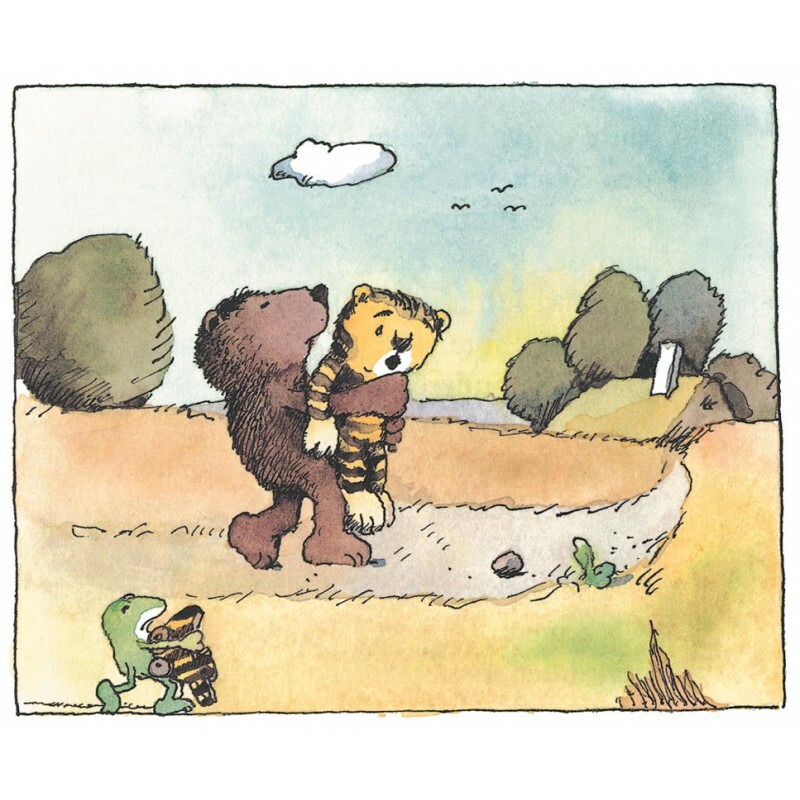 He picks him up, carries him home, bandages him up, covers him with the leopard print blanket he likes so much, and cooks his favourite dish (well, with some minor compromise). 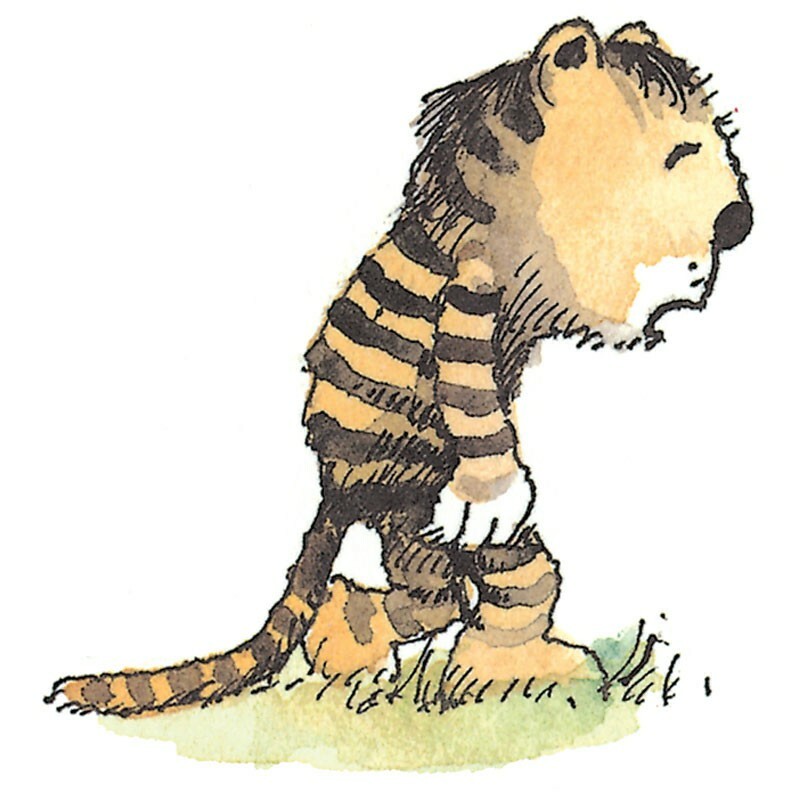 So Little Tiger feels a little better… but then he feels a little worse, because he would like someone to visit him. 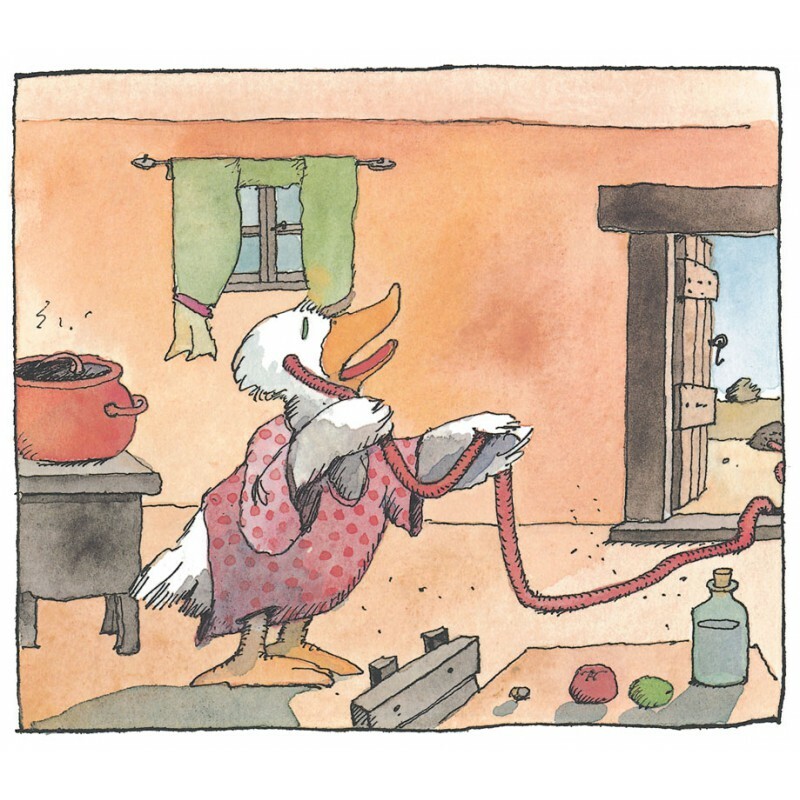 Little Bear makes a phone call to Aunt Goose, who comes immediately with some cloud syrup. So Little Tiger feels a little better… but then he feels a little worse again. 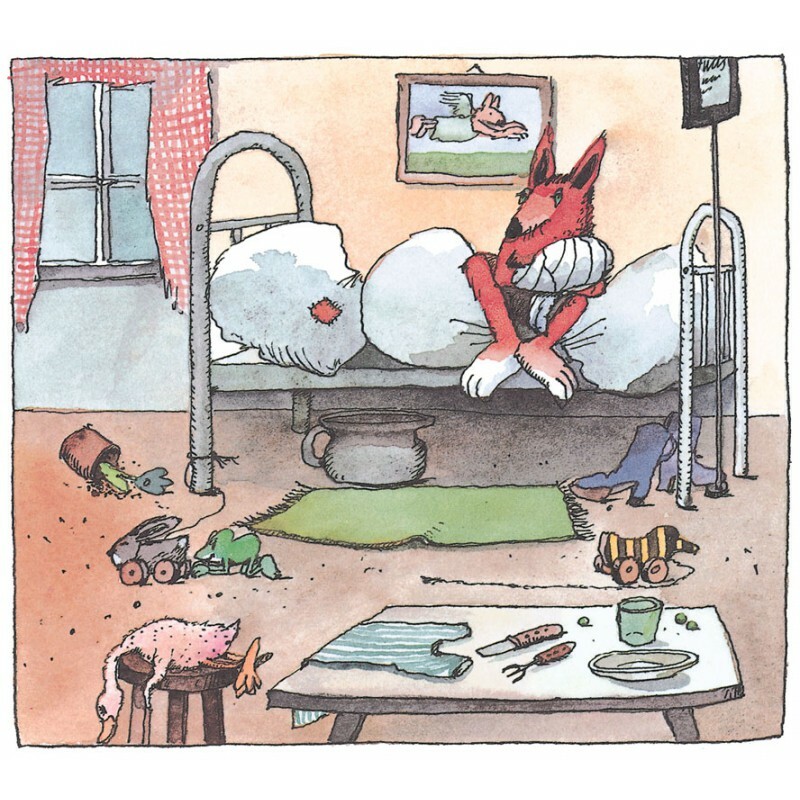 Nobody understands what has happened to him, so the Hare with Fast Shoes suggests to take him to Doctor Membrane. 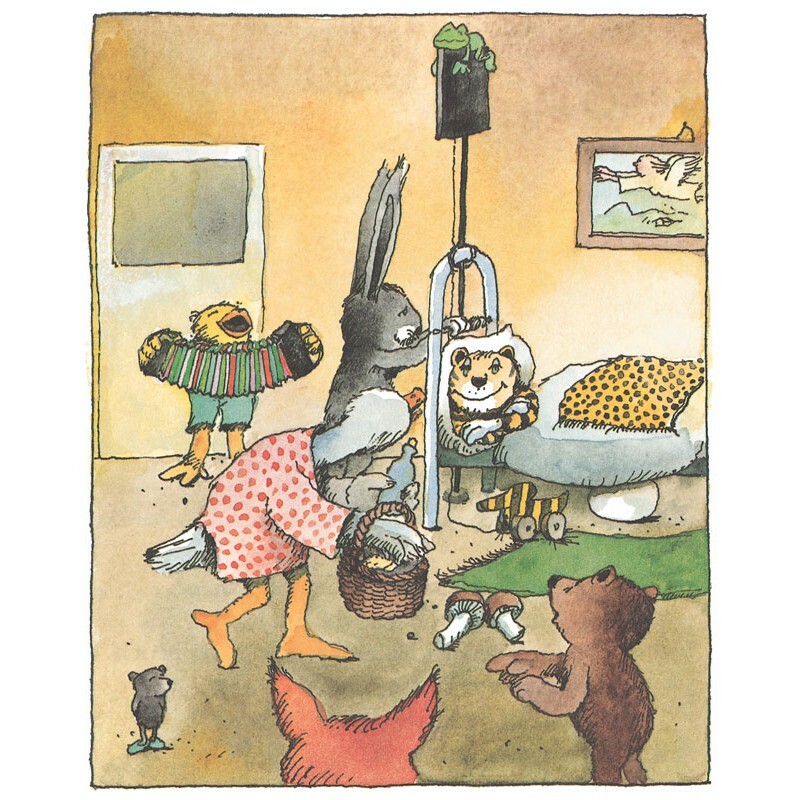 The next morning, a long procession of animals leaves Little Bear’s home to take his friend to the Animal Hospital… but there’s no need to be scared, because the Animal Hospital is a nice place! La biblioteca della Ciopi presents a new title, written and illustrated by the beloved children’s author Janosch, aka Horst Eckert. 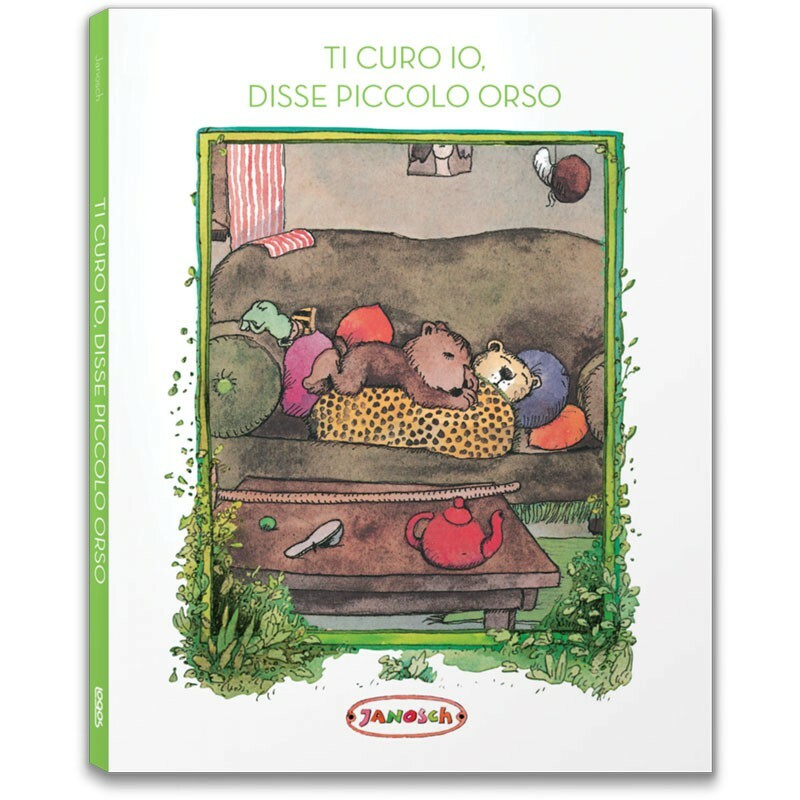 A story that will make us smile and remember all the times, as children, we were ill and our friends and family took care of us… when we seized the opportunity to enjoy some extra cuddles! 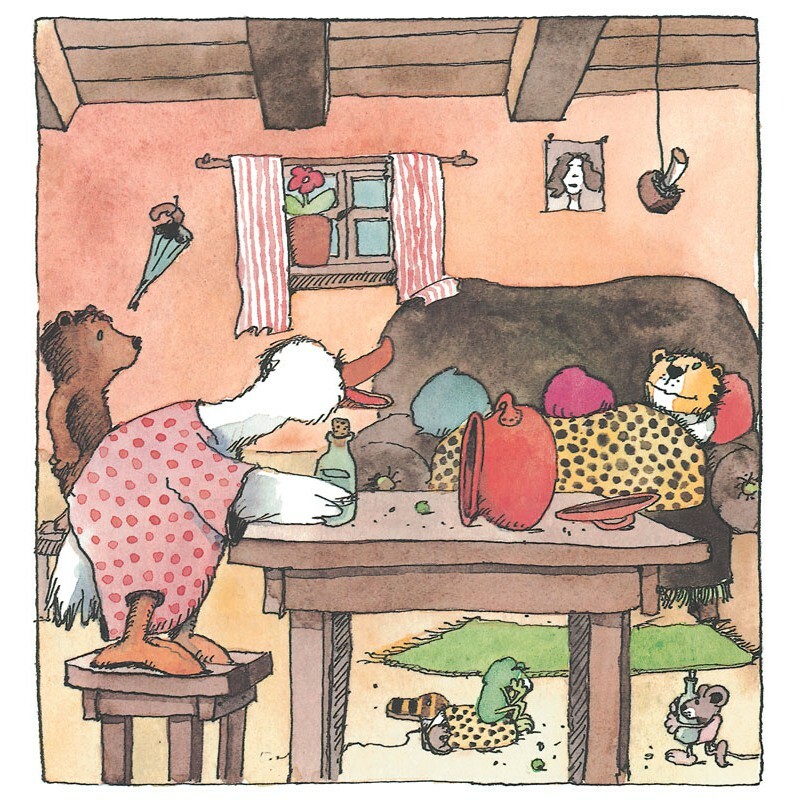 Dive into Janosch’s tender and ironic universe, peopled by delightful animals and surreal dialogues, and discover the healing power of friendship, love, solidarity… and of your favourite dish, of course! 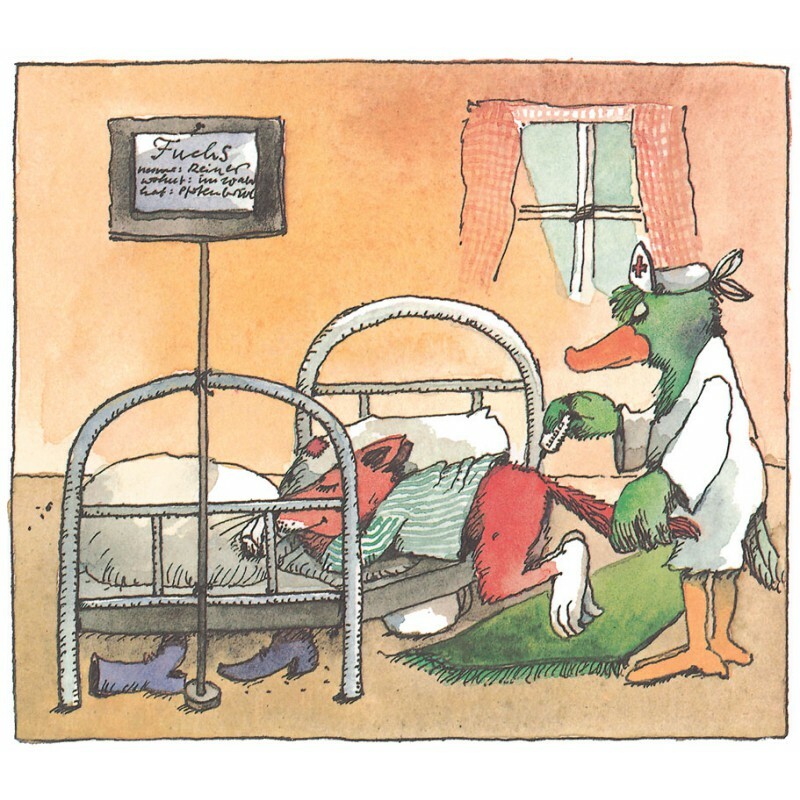 Janosch (aka Horst Eckert) was born in 1931 in Zaborze, Poland. From 1944 to 1953 he worked as a smith and then as a textile designer in a factory. Afterwards, he decided to follow his passion for painting and attended the Academy of Fine Arts in Munich, but he was forced to quit after the trial period. Since then, he has been working as an artist: he paints, writes rhymes, creates stories and characters. 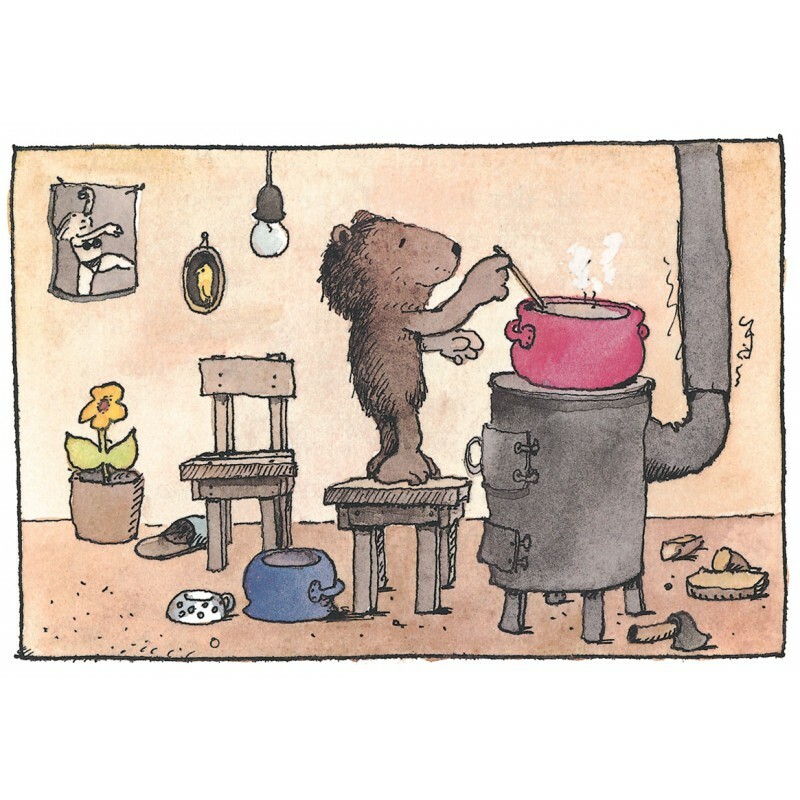 He is the author of more than 100 books (picture books, children books and novels), as well as the proud dad of Little Tiger, Little Bear & co. His book Oh, wie schön ist Panama (Oh, the beautiful Panama) won the Deutscher Jugendliteraturpreis. Janosch lives on a lonely island between the sun and the sea.